Which Mayoral Candidate will earn your vote? 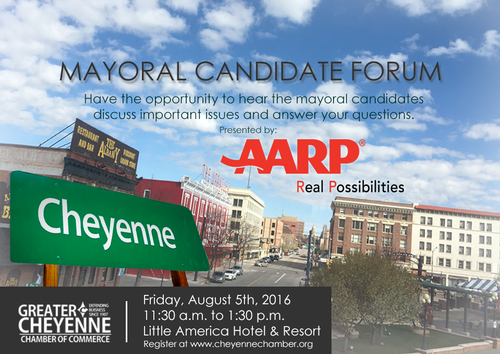 Additionally, prior to Friday's event Mayoral Candidates were requested to participate in the Greater Cheyenne Chamber of Commerce Reverse Endorsement questionnaire. 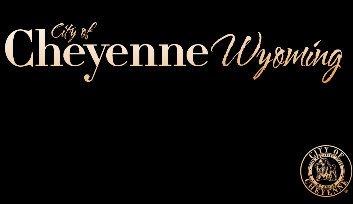 The full results of their participation is listed atwww.cheyennechamber.org. The following candidates were endorsed in that process: Jim Brown, Rick Coppinger, Peter Illoway, Marian Orr, John Palmer, Scott Roybal and Amy Surdam. Visit HERE to register for this special luncheon or call the office at 307-638-3388 for more details and remember, your vote matters!